My adorable little kitty is bulimic. Let me explain. We have a routine each morning. She follows me around as I get ready for work, meowing non-stop until I feed her. It’s not a terribly creative routine, but that’s how it goes. Some mornings, she is especially hungry. These are the mornings that she buries her face in her bowl, scarfs her food without chewing, and a few minutes later, pukes it all back up. Never on the linoleum, mind you. Always on the carpet. One day, I was at Bed, Bath and Beyond and found the Bissell Little Green ProHeat for carpet cleaning. It was $99, but was priced incorrectly. Between the discount they gave me for the mis-pricing, and the 20% off coupon I had, I ended up getting it for $60. DWTS FINALE! We’re blogging it LIVE!! This is our first time blogging live, so bear with us! But keep tuning in for updates throughout the 1-hour episode! 7:50pm – Lisa: Just to preface the importance of this evening. The freestyle dance nearly always determines the winner of the coveted mirror ball trophy! Whoever gets the high score tonight will likely win! This is by far my favorite show of the season! 7:54pm – Lisa: Holy crap, I just saw a Kohl’s commercial set to Rebecca Black’s “Friday”. So horrible… now that damn song will be stuck in my head forever!!!! 7:59pm – Lisa: Almost forgot, if you’re on the east coast and already saw it – I don’t want to hear about it! 8:01pm – Welcome to the finals of DANCING! WITH THE STARS!!! 8:04pm – Lisa: Looks like Ricki is up first! Straight to the dancing with no filler – I love it! And advice from Carrie Ann – perfect pairing I think! 8:10pm – Lisa: First snafu of the night – can’t seem to get text msgs while on the phone for my conf call… Becky – can you IM me? 8:02pm – Becky: (backing up since I’m getting texts now, but slowly) We are liiiiiiiiiiiiiiive! Our final 3 contestants are ready to go with a mixture of excitement and nerves. 8:03pm – Brooke Burke is wearing a one shoulder little number. Shocker. After a catering I did recently, I had a half gallon of cream and I thought that I could freeze it or something so it wouldn’t go to waste. Freezing milk products is possible, but it changes that viscosity and I wasn’t sure it would whip up to whip cream when I thawed it out. My crazy mind started to think that I might have the makings of butter. I made it once in grade school by putting it in a jar and shaking it for a hell of a long time. But this time, I was older, smarter and lazier. I headed to the place that I get all my cooking instruction – YouTube. I watched a handful of videos, then started the process. I began with Heavy Whip Cream – I had about 1.5 quarts. I then poured it into the ol’ KitchenAid Mixer (which I have named Bessy) and, using the wire whisk attachment, I began whipping the cream. As you whip, it will start to look pebbly and also begin to look more yellow. Just keep whipping. After about 15 to 20 minutes of whipping, the milk solids gather and completely separate from the milk. At this point, stop whipping. This week, the dancers each performed three dances! I honestly don’t remember if that has ever happened before. The pressure was on, there were a number of injuries, the judges were uber-cranky and I think Maks has turned into a robot. There were some very personal stories of how the contestants got to where they are today: Hope’s soccer success, Ricki’s triumph over weight issues, J.R.’s heroism, Rob’s…? Really, the only adversity Rob has had to overcome is being related to the rest of the Kardashians, am I right? I LOVE Jell-O shots. It’s liquor happiness wrapped in a jiggly package! Lately I’ve been obsessed with not just a yummy tasting Jell-o shot, but also the perfect serving mechanism. I mean, little plastic cups works for a bar, but if you’re serving them at a party, you want them to be tasty and pretty! I’ve made Jello-O shots a dozen times, but always have served them with a spoon, or by hand. Bo-ring. 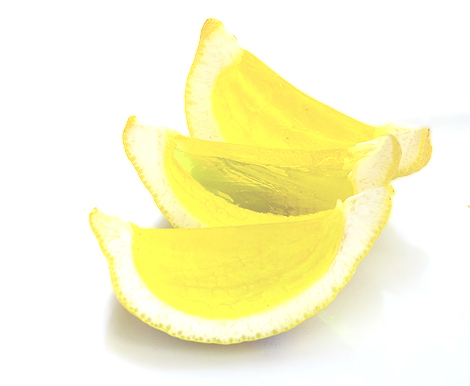 I was inspired by this blog post with these beautiful lemon shots. This research led to a few other gorgeous shots, including these Strawberry Margarita Shots, and these Ice Wine Shots. The presentation on these are amazing. So, for my most recent party, I thought I’d give it a try. I decided to try lime margarita shots and fuzzy navel shots. 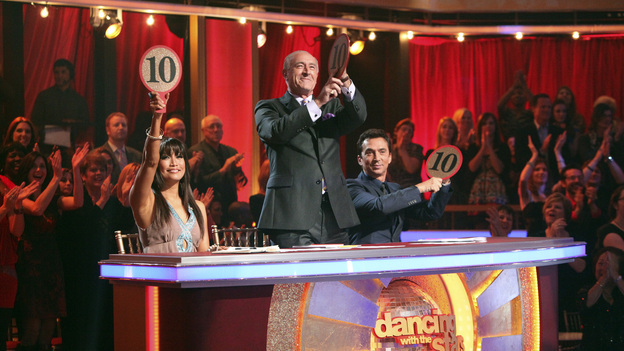 There wasn’t that much interesting about last night’s show – except for the first perfect scores! The judges were in good moods, the “celebrities” worked extra hard and their hard work showed! Let’s get right into the scores! While the U.S. Fire Administration will tell you to check your smoke detector batteries monthly, an old home maintenance tip says to use the beginning and end of Daylight Savings Time twice a year as a reminder to check your smoke detectors. This year, Daylight Savings Time ends on November 6th. Time to check your smoke detectors. First, do you have smoke detectors installed? Do you have enough? You should have a detector installed within 15 feet of the entrance to every bedroom in the house. Mine is right outside the door. If you have a long hallway, a smoke detector should be installed every thirty feet. You also need smoke detectors on each level of the home, including the basement, and attic, if you have any electrical outlets or appliances in the attic. It is also good to install a smoke detector at the top of stairwells – the stairwell acts as a chimney of sorts and sends the smoke to the top. It is best not to install one in the kitchen, due to false alarms from burning food. However, you should install one near the kitchen, as there are many appliances that could spark a fire. Happy Halloween DWTS night everyone! You know it must be some sort of “magical” night because Len is in a great mood! And the costumes were fantastic! Bela Karolyi and Nadia Comaneci vs Maks Chmerkovskiy and Hope Solo on the dance floor anyone? Who knew he was such a rough task master? I feel like if he were in charge of her diet and sleeping arrangements, he would have put Hope in a box and given her bread and water all week! Yikes….lighten up dude. For example: While Chmerkovskiy and Solo were practicing with Team Paso Doble, Maks shoved the soccer player in the shoulders before frantically whipping her around. An exasperated Solo responded by saying, “Would you stop being you?” Chmerkovskiy then left the rehearsal hall, leaving teammate Derek Hough to instruct Solo instead. 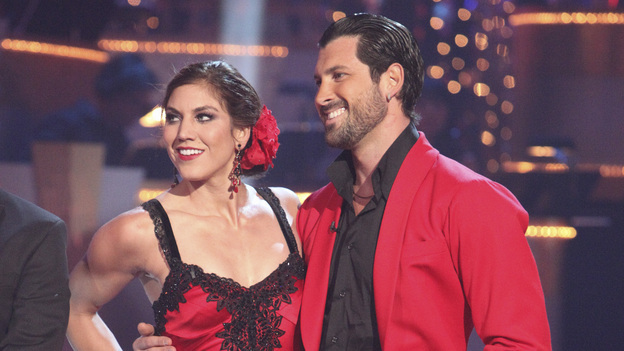 And did anyone else notice the chill in the air between Maks and Hope after each time they danced? What do you guys think of Maks’ behavior during rehearsal this week?